Images are included in quiz questions, but these are the full-size charts. These are the original FAA images published in June 2017. 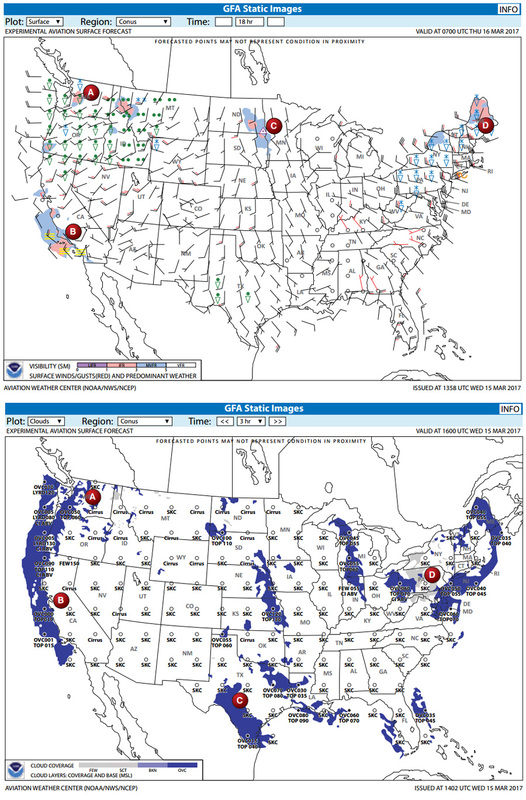 Surface Analysis charts vary in format depending on the provider. In general they show fronts, pressure centers, and isobars. 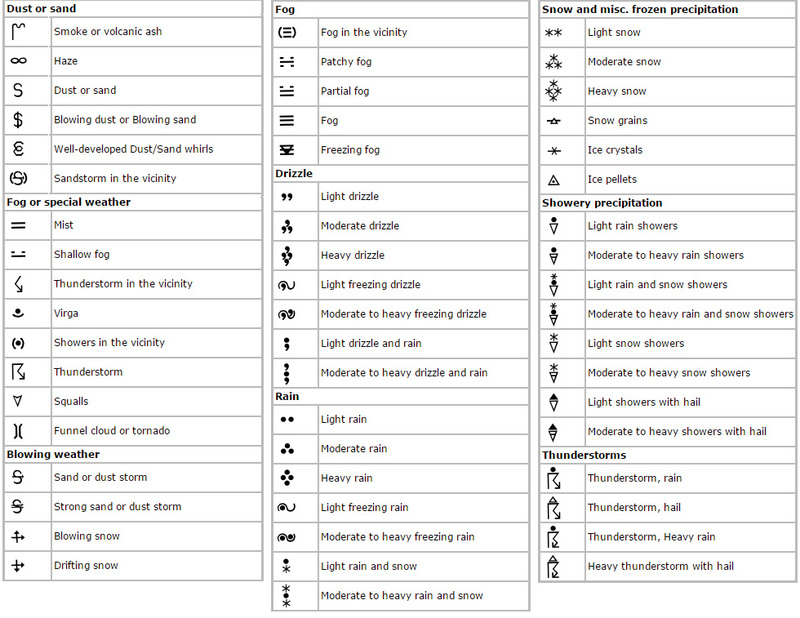 They may or may not show dew point, wind, weather, and obstructions to vision. 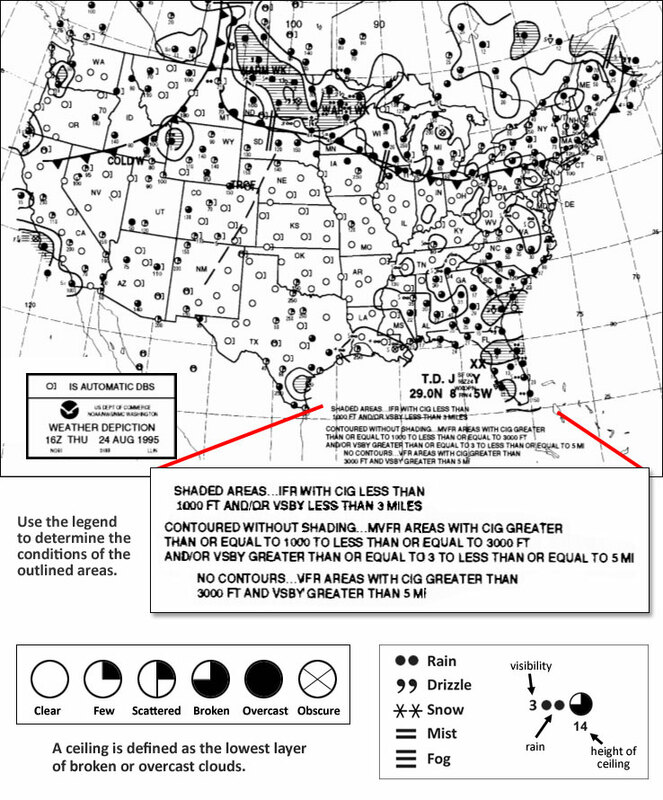 The test does not refer to any specific surface analysis charts, but may ask general questions about them. Coverage of the old four-panel prognostic charts was dropped in June, 2017. Low-Level Prognostic charts are now comprised of two panels. The panel on the left provides forecast conditions for 12 hours from the valid time. The panel on the right provides forecast conditions for 24 hours from the valid time. 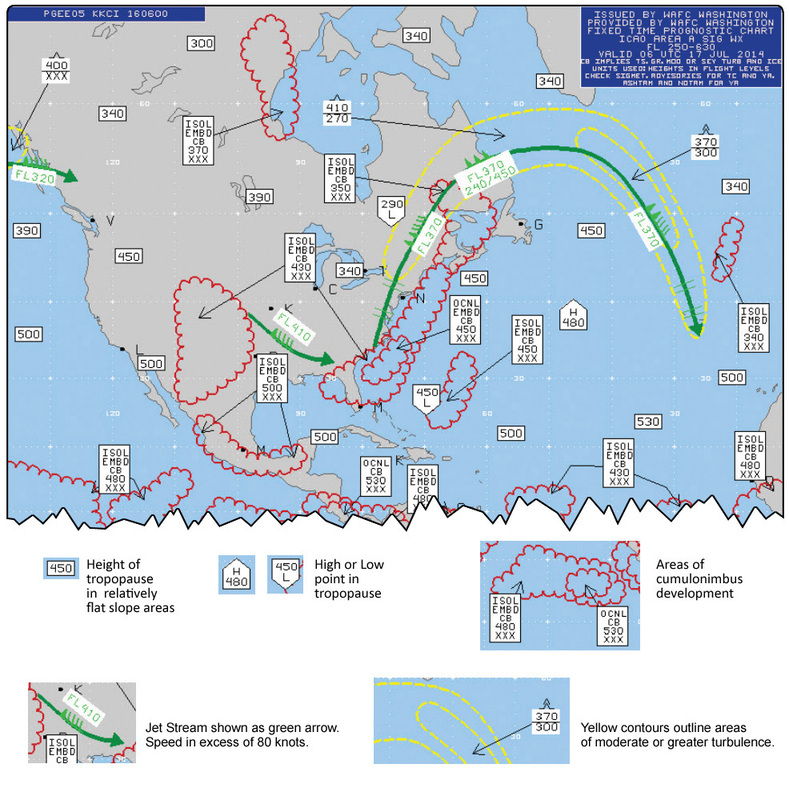 These forecast charts encompass the atmosphere from FL 250 to FL 630. These are more newly designed charts, interactively delivered online . They are highly configurable and filterable by the user. The two chart plots used in the question figures come from a subset of the GFA charts referred to as the "Aviation Surface Forecast" and "Aviation Clouds Forecast". These are considered "static" charts and are not as interactive as the full GFA charts. If the wind speed is forecast to be from 100 to 199 knots, the forecaster will add 50 to the wind direction and subtract 100 from the wind speed. To decode, you must subtract 50 from the wind direction and add 100 to the wind speed. If the wind speed is forecast to be 200 knots or greater, the wind group is coded at 199 kt. According to the FAA's Aviation Weather Services (AC 00-45H), "Constant Pressure Charts are being phased out by the NWS in favor of other products." There are some old questions related to these charts and it is unclear at this time if they remain in the current Instrument Pilot Knowledge Test question database. Constant pressure level forecasts are used to provide an overview of weather patterns at specified times and pressure altitudes and are the source for wind and temperature aloft forecasts.